Vaughan found his own songwriting voice on In Step, blending blues, soul, and rock in unique ways, and writing with startling emotional honesty. There are a few covers, all well chosen, but the heart of the album is in the songs he co-wrote with Doyle Bramhall. Fueled by a desire to make up for lost time, Vaughan turned in what many consider his greatest artistic statement. 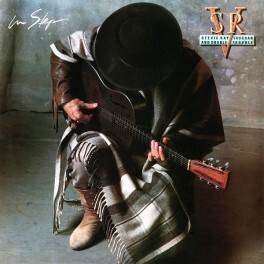 On 1989's In Step, Vaughan found his own songwriting voice, blending blues, soul, and rock in unique ways, and writing with startling emotional honesty. Yes, there are a few covers, all well chosen, but the heart of the album rests in the songs he co-wrote with Doyle Bramhall, the man who penned the Soul to Soul highlight "Change It." Fueled by a desire to make up for lost time and delight in his reawakened commitment to life and sobriety, Vaughan turned in what many consider his greatest artistic statement, an album ensconced in sweat, soul, determination, and not an ounce of filler. "Travis Walk" offers a heady rush of flat-picking, "The House is Rockin'" is full-tilt roots-boogie, "Let Me Love You Baby" and "Leave My Girl Alone" are sweet blues epiphanies, and the nine-minute instrumental "Riviera Paradise" is a truly soulful mix of blues and jazz. By now, just a year before his untimely death, Vaughan had also tamed his bawling voice into a rich instrument. In short, this 1989 session is Vaughan at his artistic peak. 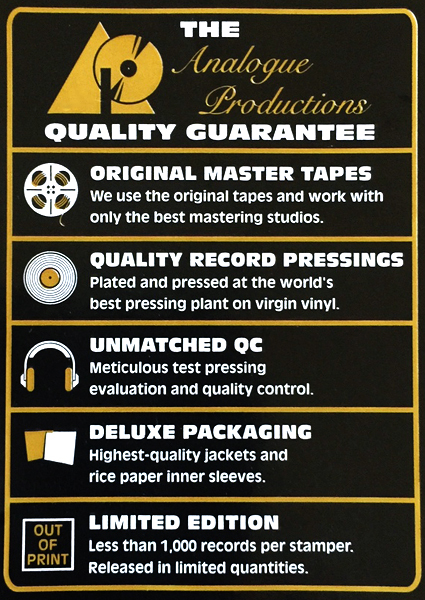 Again Analogue Productions is bringing you the finest-sounding Stevie Ray Vaughan collections ever preserved on 200-gram vinyl. Ryan Smith at Sterling Sound cut the lacquers for the LPs using the ultimate VMS 80 cutting lathe. 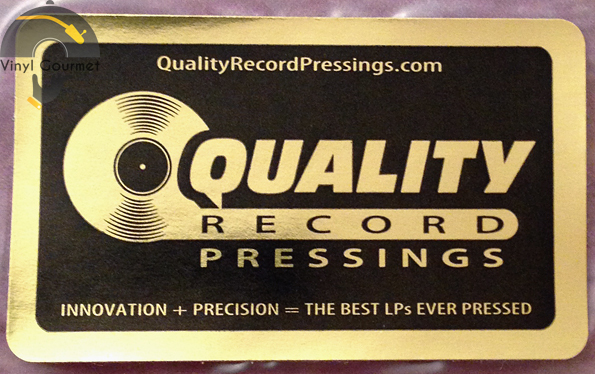 Gary Salstrom handled the plating and the vinyl was pressed of course at Quality Record Pressings. In Step remains one of the five greatest blues records of the past quarter century. There's not a link in this chain that wasn't absolute first-rate. The absolute best that money can buy. We're passionate about the blues AND Stevie Ray and the passion shows up here in spades. If for some strange reason someone had not heard of Stevie Ray Vaughan by the late 1980s, In Step changed that in a hurry. Fueled by a desire to make up for lost time and delight in his reawakened commitment to life, the Texas guitarist turned in what many consider his greatest artistic statement, an album ensconced in sweat, soul, determination, and not an ounce of filler. In Step remains one of the five-greatest blues records of the past quarter century. The results teem with intensity, passion, and edge. Vaughan aggressively tears into uptempo hellraisers such as the No. 1 Billboard hit "Crossfire," "The House Is Rockin'" and "Scratch-N-Sniff," grabbing each song by the scruff, shaking them, and refusing to let go. He courageously delves into his personal scars on the semi-autobiographical "Tightrope" and "Wall of Denial," confessionals that leave nothing to the imagination. A pair of instrumentals and several powerhouse covers round out an effort defined by Herculean consistency, songwriting, and poignant honesty. That Vaughan was killed in a helicopter accident one year after its release only adds to the sense of urgency – and bittersweet feeling, particularly since everything here serves to uplift.